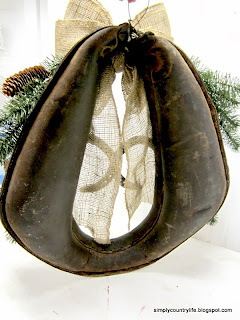 Last year I picked up this old leather horse harness at an estate auction from a farmhouse here in South Carolina. (this is the back, I did not take a before pic) I actually bid on it because it had a roll of old chicken wire with it. The wire was perfectly aged and rusty in spots and would work perfectly for so many projects I have on my list. The harness got put in the attic of my workshop for a while, I even think it made it into the Goodwill donation box at least once before I decided to hang onto it. Boy am I glad I kept it. I drilled small holes on each side of the top. I did this because the buckle was missing and I needed a way to hold the harness closed. I ran a heavy gauge wire through the small holes on each side and twisted it together to close the harness and began decorating it with faux greenery and a burlap ribbon bow. 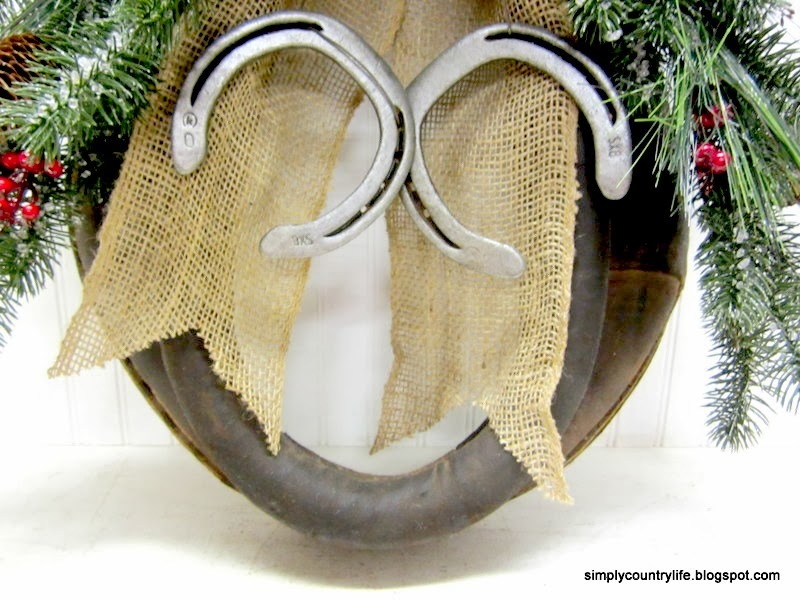 The horseshoes are probably my favorite part. My neighbor is a farrier and he was kind enough to bring me a dozen old horseshoes. They also needed a good cleaning and I sprayed them with a clear matte sealer. The horseshoes are wired together and through the small holes I drilled in the harness. I'm in love. If only I had a big red barn to hang it on. 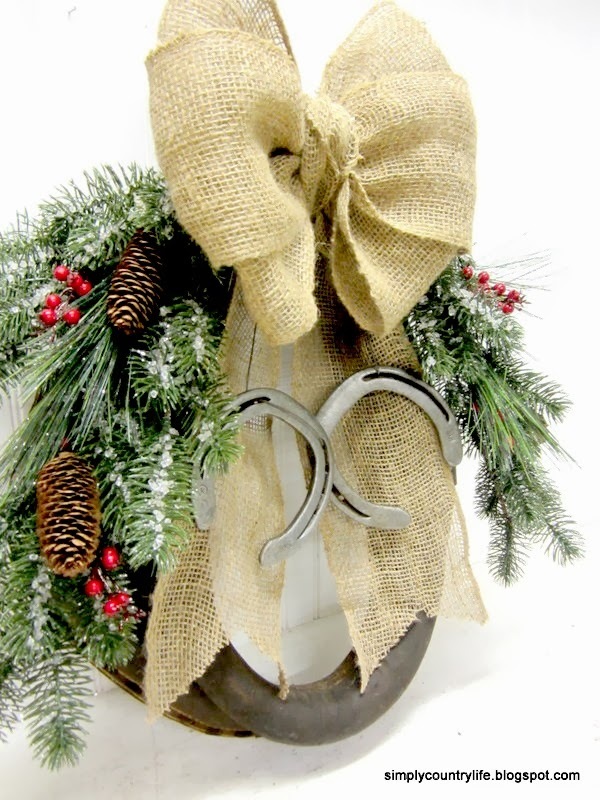 I'm also thinking that it would be a great focal point for a rustic winter wedding. Just add small signs with the name of the bride and the groom to each horseshoe? Now that is recycling....and I love it! That is so creative, good job! oh I love this! rustic country Christmas for sure! Do you come by Common Ground on Mondays for The Marketplace? if you haven't please come join in! 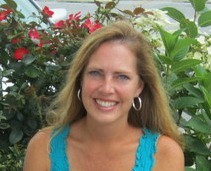 Hi Debra, thank you so much and I do come by Commom Ground on Mondays! I am over from Brenda's WW today. 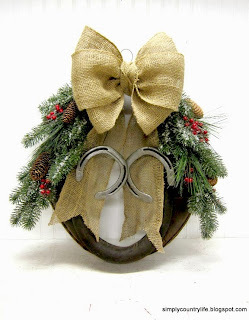 Your wreath is very creative and oh so country! I love it! Thanks for stopping by Cindy! I love it too. I am over visiting and following from Cozy Little House. It is so fun to see what other people are doing creatively. I'll enjoy your blogs. Thanks for stopping by Ginene. I love to see everyone's creativity also. So many wonderfully talented people! 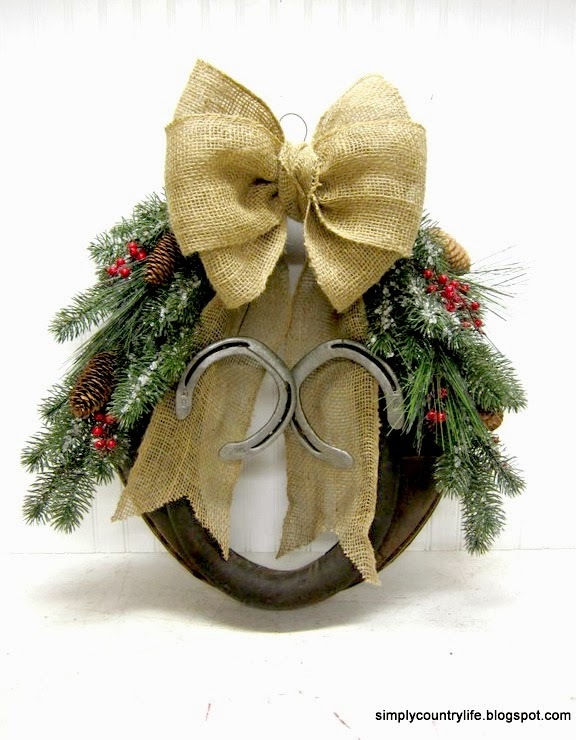 I have never seen such a unique farm style wreath...love it!! 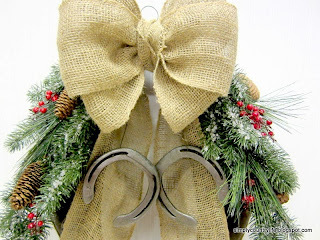 My mom would adore this, she rides hnter/jumper and has antique horse stuff here and there. Thanks Linsey for your kind words! I have a friend that would love this! Thanks for sharing the idea!!! This is such a fresh take. Very nice. Thank you! This has got to be my favorite creation.